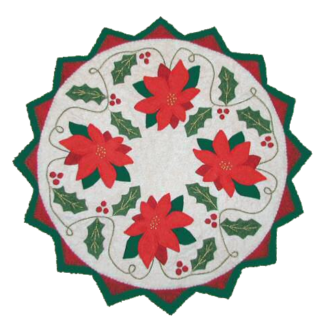 Pattern for candle mat with finished size of approximately 8″. 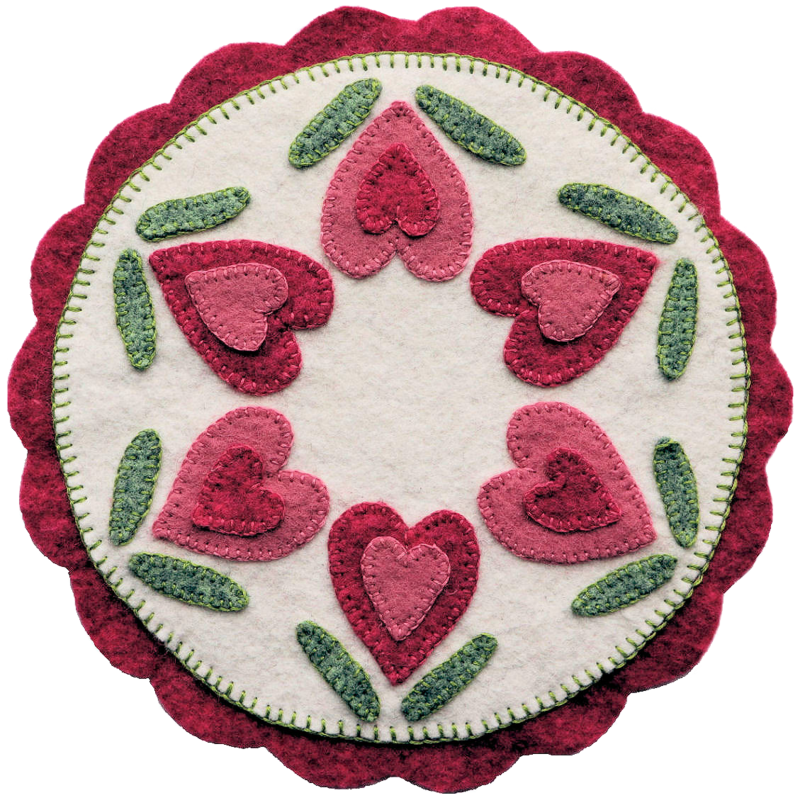 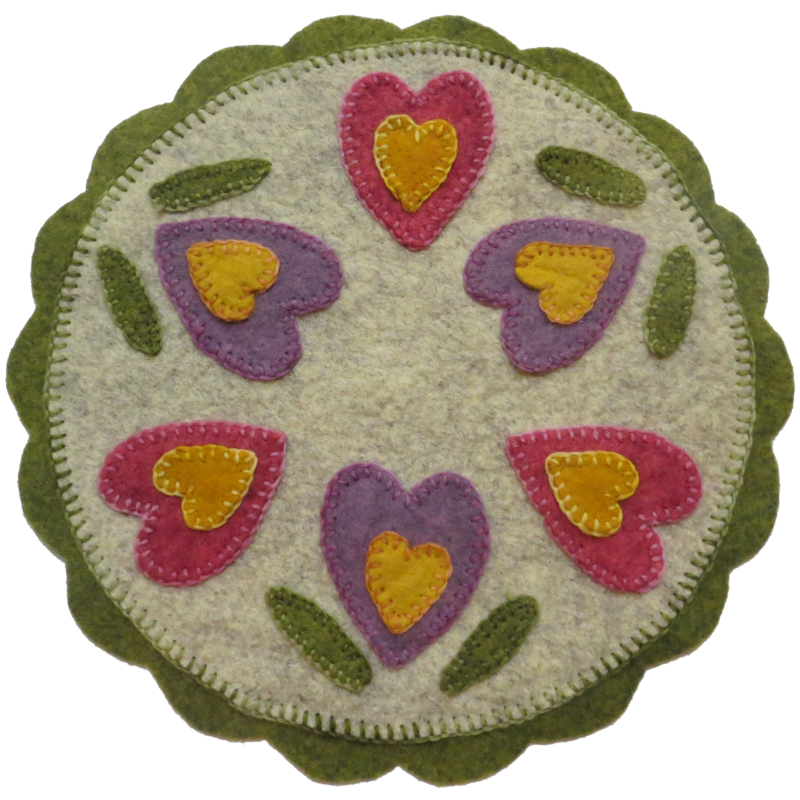 Perfect for a small vase, votive candle, or a mug rug. 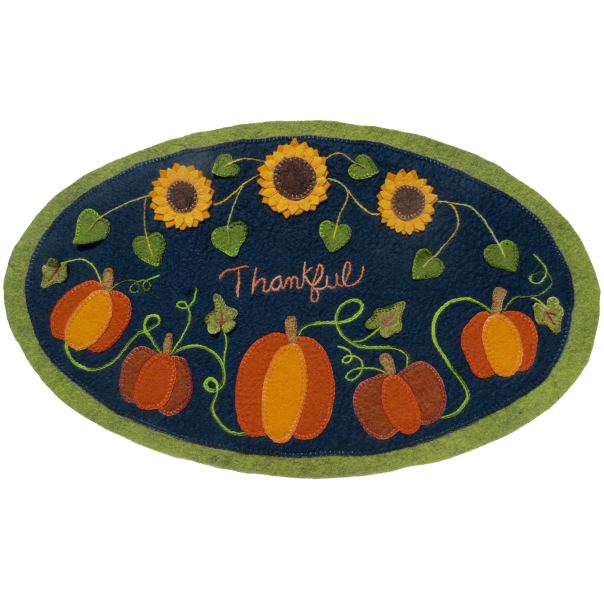 Model shown is done in WoolFelt® from National Nonwovens and Valdani wool thread.